After reviewing the single for Outlet Magazine and then going on to review the music video, I knew I'd end up reviewing this video for my blog eventually. This song is the start of Slumberjack taking over the world, or at least my music, because I am loving this song and it's very shocking video which is a futuristic take on the gaming world. Slumberjack collaborate with Daniel Johns to Open Fire on the technological advances of the gaming world and how it could influence the minds of the youngsters who play nonstop which could influence their decisions later on in life. Slumberjack are a duo from Perth, Australia. They consist of Morgan Then and Fletcher Ehlers. Having millions stream their songs on Soundcloud, surely this duo is destined for success. Praises around the world because of their unique sound and electronic beats. With their EP ready to drop, this is a duo to watch out for! This track features Australian frontman icon Daniel Johns, formerly known as the vocalist for Silverchair. 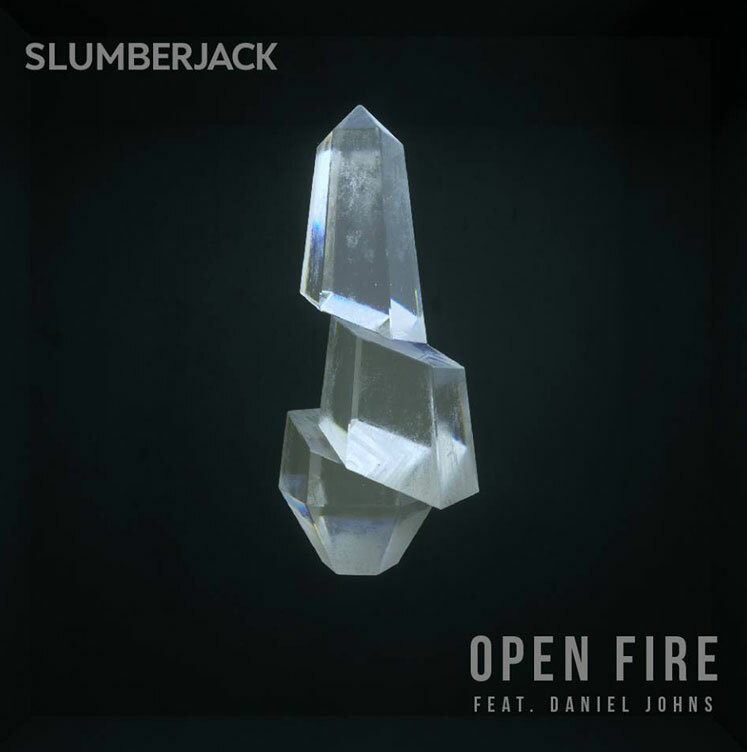 "Open Fire" has so many energetic vibes, it's the perfect insight into Slumberjack's soon-to-be-released EP, that is bound to be fire. Directed by Jonathon Lim, this video makes quite the statement, proving that people can get caught up in the gaming world, that then can blur the lines of reality and fiction. This video attempts to separate the different worlds after they have been infused. I love how the middle scene is of the girls playing League of Legends, yet the world they are transported to is nothing like the game play. It's a whole different game where they have to find crystals, to make one big crystal that links in with the cover art for this single. Dangerous and definitely shocking, especially when the blood is clearly visible on the knife used on the fictitious cyber wolf. It proves that even though it seems like it's just a game, it can be very real. I love the idea of blending the two worlds, and if we are not careful, this will happen what with technology advancing this much. The shocking twist at the end is something that could most-definitely happen as games advance, we're already blurring the lines between the real and the unreal through virtual reality, something like this is surely not far off at all.